A baby monitor was something we never used with Noah, he shared our room till he was one and then by the time he moved into his own, I didn't feel it was really necessary. His cry was loud enough to disturb us had we been an island away and by that point he really didn't wake up from being put down. Fast forward to December when I was toying with when to move Patrick into his own room, I knew I needed a monitor as we'd be downstairs and over noises such as dryers and televisions, it would have been difficult to hear him. A monitor was just a must have, it's a security blanket that I wanted. But searching for that security blanket gave me such a headache, as well as purse ache - the prices are something else. 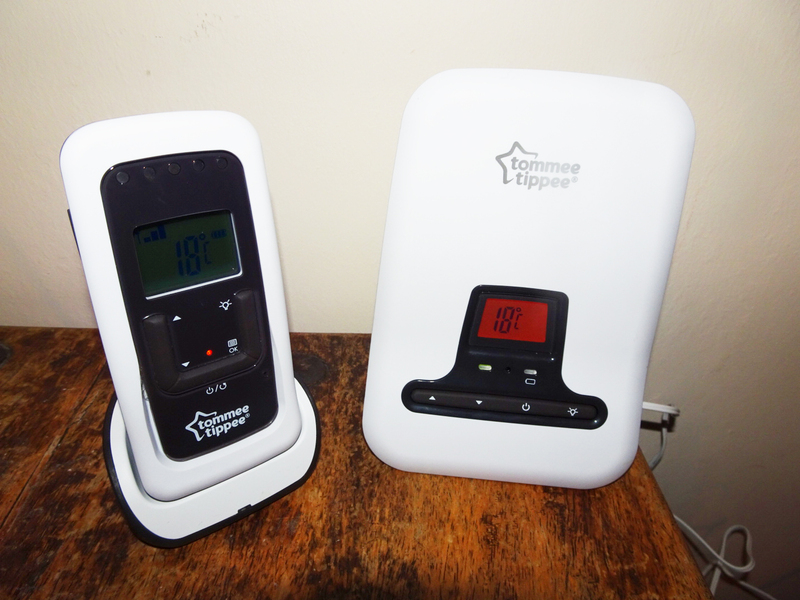 And that's when Tommee Tippee kindly reached out to send me their Closer To Nature Digital Sound Monitor. When I first unboxed the monitor I was quite pleased with how dainty and stylish it was, I had seen some that looked like webcams, others that resembled mobile phones and then some that were every colour of the rainbow. I've said it before and I still stick by it, style is a huge factor for me when purchasing baby products, particularly if it's a product that's going to be sitting in a nursery that I so carefully spent nine months planning every minute detail of. Shallow maybe. 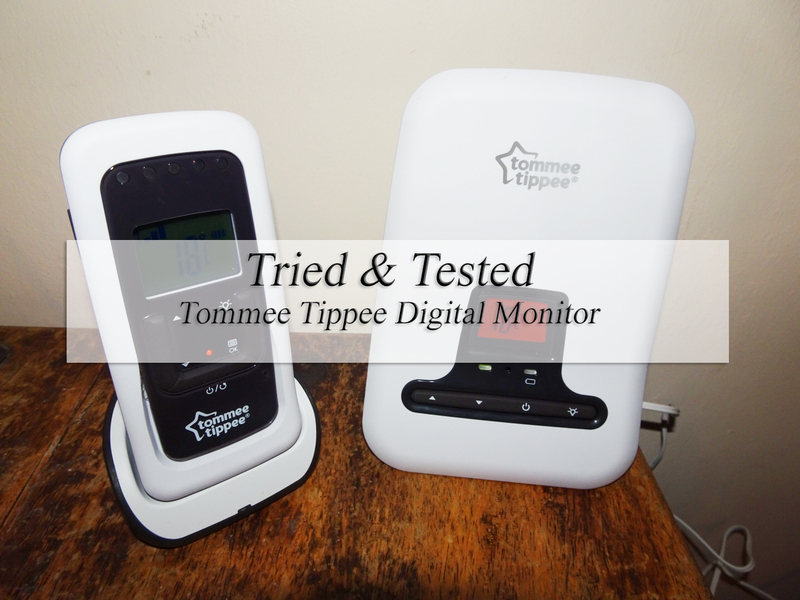 I need not have worried with Tommee Tippee, having used so many of their products since Noah was a baby I definitely trusted their taste and of course they didn't fail me. The digital sound monitor is sleek, modern and simple, there wasn't too many buttons so that I felt if anyone looked after the boys overnight (lets be realistic when is that going to happen) they wouldn't be confused on what to do. The monitor was quite simply a set it up and leave it to do it's thang situation = happy Mum. As I mentioned above, when it came to setting the monitor up there really wasn't much of a process. You plug them in and you're away. Both handsets actually had some charge already in them which would be very handy if you needed to use it immediately and are limited for plug sockets in your rooms. In Patricks room, the nearest available socket that isn't hidden behind furniture is actually on the other side of his room which made me worry if the monitor would even pick up any sound. I worry that was soon settled when I realised that from downstairs, even on the lowest volume setting I could still hear absolutely everything, how fantastic. And for the other half when he's in charge whilst I bathe, I can whack it up to full volume and then his selective hearing has no excuse, unlucky John, TT has my back with this one. Something else I found incredibly helpful was that when we went to Bluestone recently I actually didn't realise the whole 5 days we were there I forgot to switch the parent handset charger on at the wall - yet it still worked throughout, the battery life is great which can ease any worries if you are away for the evening and forget a charger. A last little bonus I loved was the talk back feature, yes it was pretty funny giving my other half a fright whilst he grabbed something from the babies room one day, but it's really useful when Patrick wakes from a nap if I just have three more pieces from the dryer to fold I can gently soothe him with my voice if he is a little unsettled. So would I recommend this monitor? Absolutely. If any of my friends or family decided to pop a baby out soon (please for the love of god lets give the boys some cousins) then I will definitely be snapping up one of these for their baby shower. At £44.99 I think it's a bargain, it offers peace of mind as well as style, it even includes a temperature indicator which I have found invaluable during these winter months. 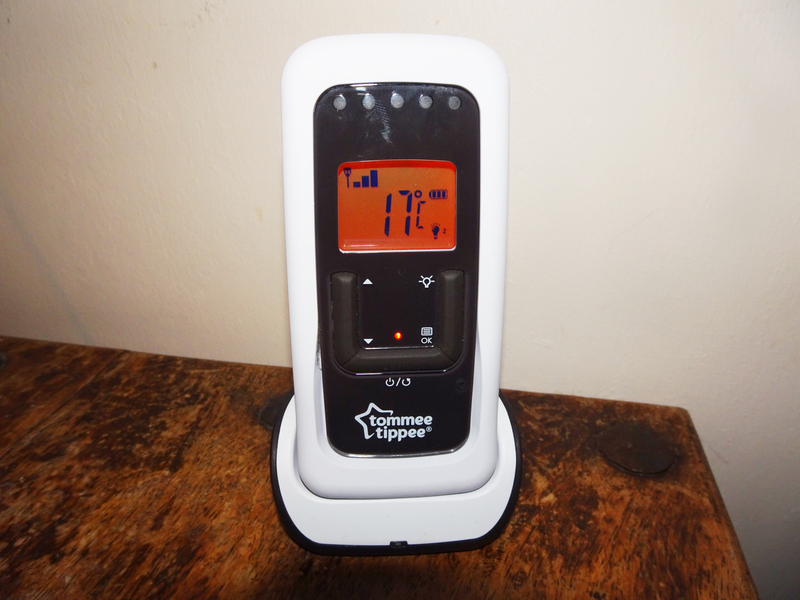 So thank you Tommee Tippee for giving this Mama some extra reassurance and reliability during that transition from moses basket to cot. I like the look of this but I wouldn't be able to deal with the face that I couldn't see T. I'm such an anxious mummy that we have a camera so that I can see him. That's such a great price too! We personally have a camera monitor, but mostly because it was on deal at PC world and we had vouchers so we ended up spending £5 on it! I love TT products too & I'm impressed with the price & really wish ours had a room temperature indicator now, but I do prefer a video monitor as little N is such a restless sleeper! This looks great for a basic monitor but don't think I could live without video function now! Great review. I didn't know Tommee Tippee did baby monitors. We had a BT one, I was never bothered about a video function!